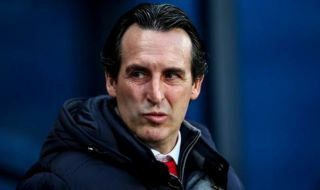 Arsenal have reportedly suffered a blow as Bayern Munich have emerged as a serious threat in the race to sign Nicolas Pepe. The 23-year-old has been in fine form for Lille so far this season, scoring 17 goals and providing 11 assists in just 26 appearances for the Ligue 1 outfit. In turn, it’s no surprise that he’s attracting interest from around Europe, although as noted by Teamtalk, Lille sporting director Luis Campos has previously insisted that it will take a whopping €80m to meet his valuation and prise him away. It remains to be seen whether or not Arsenal are willing to meet that price-tag, or perhaps even have the funds to do so, but according to Le 10 Sport, Bayern Munich have now set their sights on Pepe and could have the financial muscle to outbid their rivals. Arsenal are specifically mentioned in that report as an interested party too, along with Manchester City and Barcelona, but it remains to be seen if the Bavarian giants can muscle their way to the front of the queue and fend off the competition for Pepe to bolster their attacking options in the wide positions. Meanwhile, Calciomercato report that Arsenal have also set their sights on Mainz midfield ace Jean-Philippe Gbamin, with the Ivorian making 21 appearances so far this season and scoring two goals for his side from a more defensive position. Arsenal have been far too leaky at the back this season, conceding 36 goals in 25 league games to give them the worst defensive record of the top eight sides in the table. With that in mind, strengthening their midfield to offer protection in front of the backline could be a sensible move, but it has to be said that Gbamin hasn’t proven himself at the highest level on a consistent basis as of yet, and so it could be a gamble to consider him as a key solution.